In this paper we propose a categorical theory of intensionality. 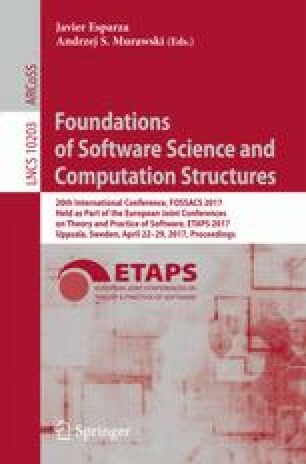 We first revisit the notion of intensionality, and discuss its relevance to logic and computer science. It turns out that 1-category theory is not the most appropriate vehicle for studying the interplay of extension and intension. We are thus led to consider the P-categories of Čubrić, Dybjer and Scott, which are categories only up to a partial equivalence relation (PER). In this setting, we introduce a new P-categorical construct, that of exposures. Exposures are very nearly functors, except that they do not preserve the PERs of the P-category. Inspired by the categorical semantics of modal logic, we begin to develop their theory. Our leading examples demonstrate that an exposure is an abstraction of well-behaved intensional devices, such as Gödel numberings. The outcome is a unifying framework in which classic results of Kleene, Gödel, Tarski and Rice find concise, clear formulations, and where each logical device or assumption involved in their proofs can be expressed in the same algebraic manner. This work was supported by the EPSRC (award reference 1354534). I would like to thank my doctoral supervisor, Samson Abramsky, for suggesting the topic of this paper, and for his help in understanding the issues around intensionality and intensional recursion.